Trutecled company invite you to attend the 2018 Global Souces Asia World-Expo in HK, our booth is 1F06 Hall 1. 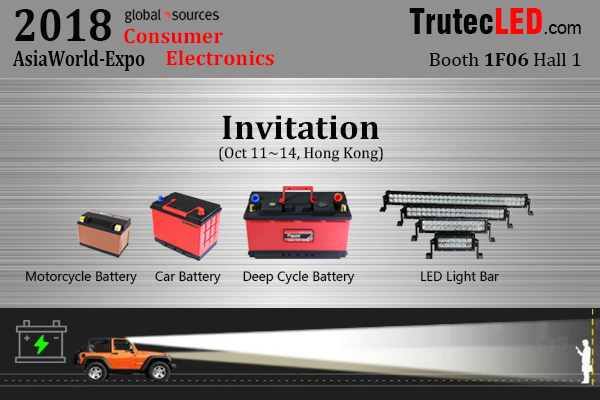 Looking forward to your coming, we will show our mian product of LED hedlight, LED work light, LED light bar, Lithium Ion car battery, LiFePO4 motorcycle battery, and Li-ion deep cycle battery. Welcome to join us, we are willing to supply the best service and quality product to you! Next: How to do business with us?